Professional cycling returns to Carlsbad, California on July 20, 2014 as the Swami’s Cycling Club presents the Carlsbad Grand Prix of Cycling. The 2nd Annual Carlsbad Grand Prix located at Armada Drive and Fleet Street, newer Legoland. Professional and amateur bicycle racing, free kids races, plus the one-of-a-kind Family Fun Race for prizes. 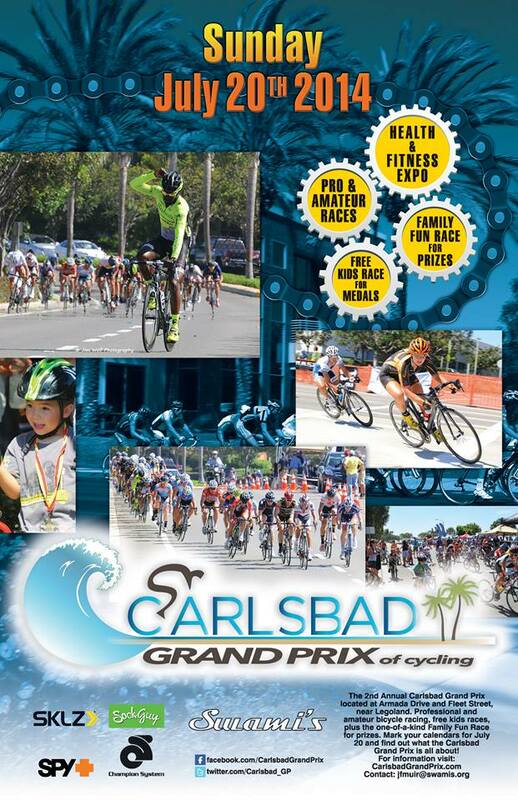 Mark your calendars for July 20, 2014 and find out what the Carlsbad Grand Prix is all about. For more information click the link CarlsbadGrandPrix.com.